I didn't set out to write a book. I set out to clean my office. That was last year's New Year's resolution. It all started because of the IRS, who want to know how much inventory a writer has at the end of the year. 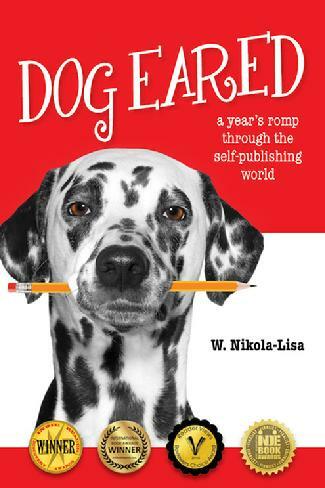 Once I started rummaging around my bookshelves, I got the idea to clean every book in my office, and in doing so I wrote Dog Eared: A Year's Romp Through the Self-Publishing World. Dog Eared explores several themes in my writing life, like: Why my high school girlfriend dumped me after she gave me a copy of Herman Hesse's Narcissus and Goldmund? Why I have all the writer's destiny marks except one? Why I played trivia with bikers in a Daytona Beach bar (while munching on a burger topped with hemp seeds)? And why Exercise Rule #39 doesn't alway work for me?